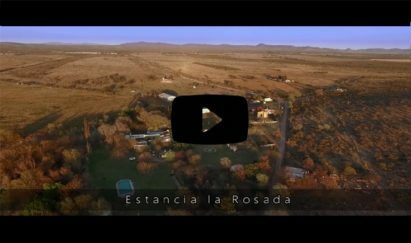 WHY IS CORDOBA ARGENTINA A GREAT DESTINATION FOR DOVE HUNTING? After one stay with us, you’ll see that C&C revolves around you. Enjoy at an amazing doves and pigeon hunting. That’s why Cordoba is the place and C&C is the outfitter. In Cordoba, Doves and pigeons are considered to be plague in the area, so there are no bag limits or seasons for hunting them. Hunters regularly use two guns and a reloader to prevent barrel overheating, as it is normal to shoot between 1,000 and 1,500 shell per hunter per day. So, go a little wild and check out our promotions!. You can read our dove hunting FAQs for more information. Whether your choice is to hunt, or simply to vacation at our Lodge in Ischilin, to visit C&C is to enjoy an experience as rich and diverse as Argentina itself. Every day brings new discoveries – Argentinian wine, tasting typical dishes, guided day trips in Ischilin. C&C Outfitters has everything to make life in the countryside a delight for hunters and guests. Casual dining, a pool for relaxing and a lot adventures throughout the estate during every season. It’s the perfect vacation in Argentina. With great service standards with over 10 years of experience and a fantastic track record of satisfied hunters who would happily recommend us to friends and family. Take a look at the testimonials and reviews they gave us. In USA there are many areas of the United States for dove hunting, however is very complicated to find a great spot with a considerable volume of birds, and many times the best locations are privately owned. After so many years, at C&C Outfitters Argentina Dove Hunting we have a wide range of great spots across all seasons. With a landscape combining mountains, grassland, rivers and lakes, along with a good infrastructure, Córdoba opens up for the visitor endless possibilities for leisure activities. On top of having a pleasant weather all year round across all four seasons. Cordoba is both history and progress: it is history in its churches, museums and Jesuit Estancias, declared Cultural Heritage of Mankind by UNESCO. Besides the cultural background, the city’s main treasure is its people’s hospitality and open-minded attitude, always willing to help the visitor. Argentina has international fame for its wines and its fantastic cuisine will be very well represented by our chef at the lodge. And after shooting all morning you will likely work up quite an appetite, so around noon we will adjourn to a nice shady area near the hunting field for a traditional Argentina barbecue which we call an “asado“. You can easily fly to Cordoba for a dove hunting trip with connections in Buenos Aires or Santiago (Chile). And once you arrive, you will be warmly received by members of our professional staff.